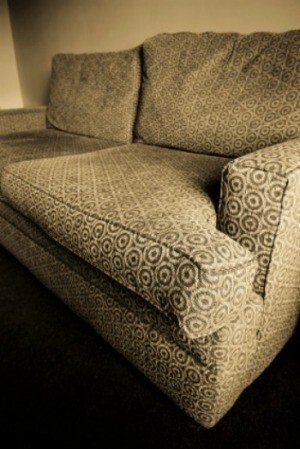 Repairing the broken arm on a couch may seem daunting, especially if it is upholstered. This is a guide about repairing a broken arm on a fabric couch. The wood frame in both arms of my sofa is broken. The wood panel is broken on the inside of each arm. A tall person was laying on the sofa, their feet extended all the way to the arm. They accidentally pushed on the arm with their feet and the wood snapped. Yes this happened twice, with the same person. You will have to cut the arm open in an inconspicuous place and repair it. Then, use a round needle and "button thread" to sew it back. I watched a furniture repair person do this. He also done this on my sofa arms to refluff them. Good Luck! My wife and I own a sleeper-sofa. The arms are made of wood. One of the arms is cracked right through. The cracked arm did not go through the upholstery. I was wondering how much it would cost to get the arm repaired. A prompt response to this would be much appreciated. Thank you very much. Please take care and I very much look forward to hearing back from you as quickly as you possibly can. My husband does furniture repair for a living. It'd be hard to give an estimate without actually seeing the repair, but sounds lite it'd be repairable. He's replaced wooden parts lots of times. It's good that it hasn't ripped the upholstery. I would suggest checking with a furniture store(like if you have a Badcock & More in your area) and see if they know of someone that might do that sort of work. Some of the people that do repair work for the furniture companies also do work on the side. Some of the smaller, independent furniture stores may have someone they can refer you to. Gee, I've always wanted to see VA, but we're in GA, so it's a little bit far for him to come fix it for you. If it's still a "young" peice, it might be worth fixing, but that'd be something you'd have to decide. Some things it's just better to buy another rather than pay for a repair. Good luck!